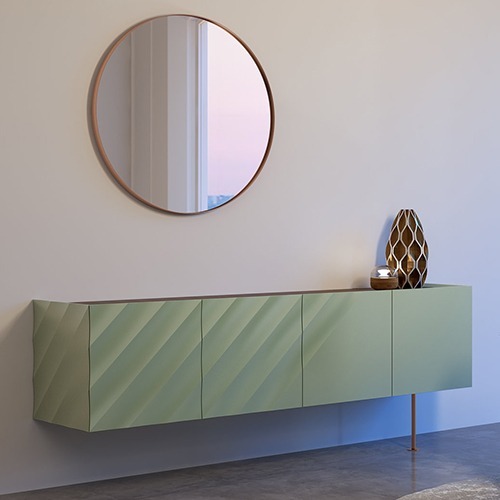 Sideboard with MDF and wood veneered structure, with 2 pairs of doors and 1 interior drawer. Iron feet with copper plating with lacquered or varnish finish. Available in custom finishes or sizes.